Colonial/Georgian Revival. 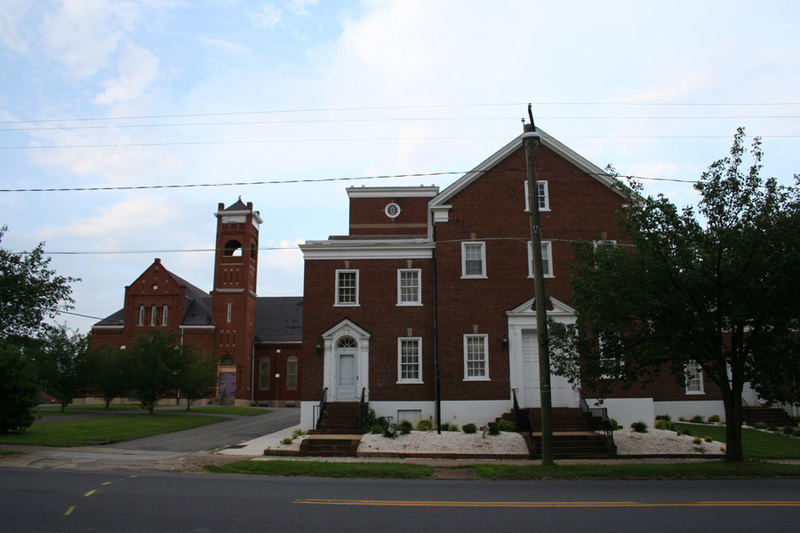 2-story gable-roofed brick with gable end entrance with double door and broken arched pediment. Secondary entrance has arched transom. 1-story gable-roofed wing on the east contains chapel. A tall 2-story brick tower with wooden balustrade is on the north. There is an attached garage on the northwest side. Windows are 6/6 sash on the upper level and 9/6 on the lower. Diuguid Funeral Home was the successor to G.A. Diuguid Company which established undertaking and cabinietmaking in Lynchburg in 1817. The building is currently Davis and Turner Funeral Service.